Did you finish binge watching Unbreakable Kimmy Schmidt? Or maybe you’ve already watched it a second time? If you haven’t seen it yet- it’s about a woman who is rescued after 15 years of living underground with an Indiana doomsday cult. She moves to New York to start over and finds a new roommate and a job as a nanny. We watched the last few episodes this week (will I ever get that theme song out of my head?) and are excited for season two. It was just announced that season two will premiere on April 15, and that Netflix has renewed Kimmy for a third season! While you wait for season two, here are some suggestions for your next binge watch, fellow Kimmy fans. 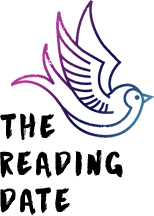 Younger – This is a new series on TV Land that features Sutton Foster (Bunheads) as Liza Miller, a 40-year old divorced mom who is re-entering the workplace. When she struggles with her job search she poses as a 26- year old and lands a job in publishing. Like Kimmy, Liza is starting over and finds herself in comical situations. More about Younger here. Silicon Valley – This HBO series is about a group of guys who are trying to get their startup off the ground. This show is really fun and has a great cast of characters. Season two starts this Sunday and you can watch season one on HBO Go. Crazy Ex-Girlfriend – I binge-watched this CW series over the holidays and it’s smart and funny. Like Kimmy, this one is about a woman starting over. Rebecca impulsively leaves her Manhattan law firm behind for West Covina, CA to follow Josh, her summer camp boyfriend. The ratings aren’t the best so I didn’t want to love this one and then see it get cancelled. Maybe star Rachel Bloom’s recent Golden Globe Best Actress win will help this one stay afloat. Watch the last five episodes on Hulu or on CW. Jane the Virgin – Crazy Ex-Girlfriend leads into Jane the Virgin Monday nights on the CW. Jane is in season two now and just as solid as ever. In this show, Jane is a virgin who was accidentally inseminated with sperm meant for another patient. Now she’s torn between her long-time love Michael and the father of her baby, Rafael. Superstore – This new workplace comedy stars America Ferrera and Ben Feldman as superstore co-workers. Five very funny episodes have aired so far and you can catch up on Hulu. 30 Rock – If you gave Kimmy a chance it’s probably because you like Tina Fey. Catch 30 Rock to see Kimmy cast members Tituss Burgess and Jane Krakowski. You can watch all 7 seasons on Netflix. 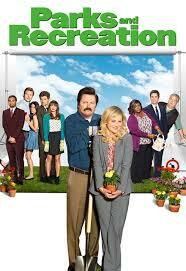 Parks and Recreation – If I’m ever having a bad day this is my go-to show to watch for some cheering up. I think the show really hits its stride toward the end of season two, so stick with it if you don’t love it in the beginning. Like Kimmy, Parks & Rec is funny and quirky and Amy Poehler’s Leslie Knope is positive and endearing like Kimmy. They even have a doomsday cult episode! You can watch all 7 seasons on Netflix. Brooklyn Nine-Nine – This police workplace comedy series is from the same people that brought you Parks & Rec and The Office and is now in its second season. This show has a great ensemble cast and provides lots of laughs. You can catch up on Hulu Plus. The Office – Ellie Kemper was previously best known for her role as Erin on The Office, and there are a lot of funny people in the cast. I’ve been obsessively watching this series on Netflix (finally) and I think Kimmy fans will love it. Catch up on all 9 seasons on Netflix. 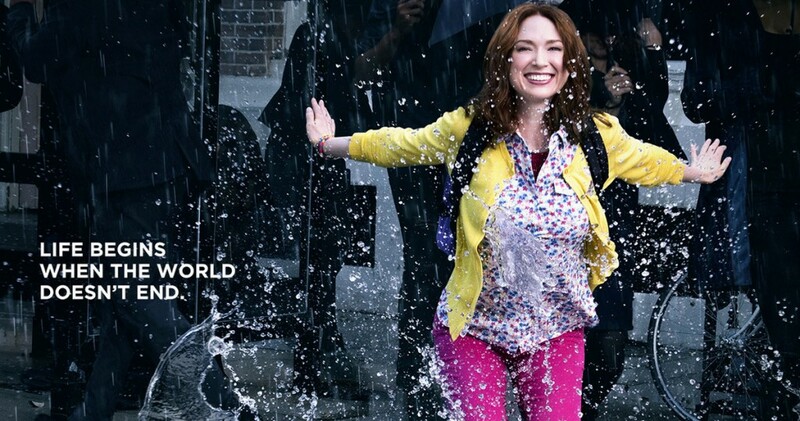 The Mindy Project – Kimmy Schmidt herself (Ellie Kemper) has a small role in this show. She plays Mindy’s nemesis, Heather, and dates two of Mindy’s (ex) boyfriends. 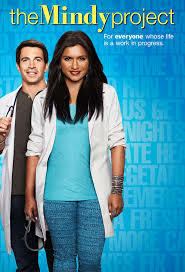 The Mindy Project is witty and silly and romcom-esque. You can catch all 3 seasons of Mindy on Hulu Plus. Gilmore Girls –This heartwarming series is set in Stars Hollow, Connecticut, and is about a mother-daughter relationship and life’s highs and lows. They live in the picturesque but eccentric town of Stars Hollow, Connecticut. All 7 seasons can be streamed on Netflix. Friends – My teenager’s friends are discovering this show now that it’s on Netflix- love that! Some of the jokes are cringe-worthy and dated now but there are some great classic episodes. And ten seasons on Netflix will keep you busy while you wait for Kimmy season two. Do you watch Unbreakable Kimmy Schmidt too? What are your favorite TV comedies? I watched Kimmy recently and liked parts of it but found other parts a little annoying. I do enjoy Ellie Kemper though and def think her stints on The Office and Mindy are worth watching.